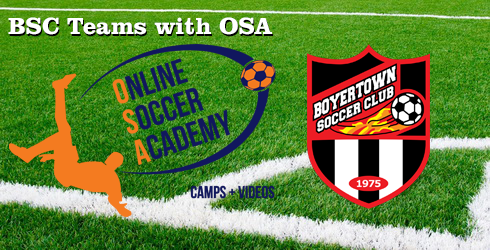 The Online Soccer Academy (OSA) Soccer Clinic provides high quality instructional soccer camps nationwide and incredibly helpful free training videos that have 22+ million views and 200,000+ subscribers. They coach to help players improve and inspire them that if you Believe in it® and back that up with hard work, anything in life is possible. This week long session is designed specifically with our travel players in mind.